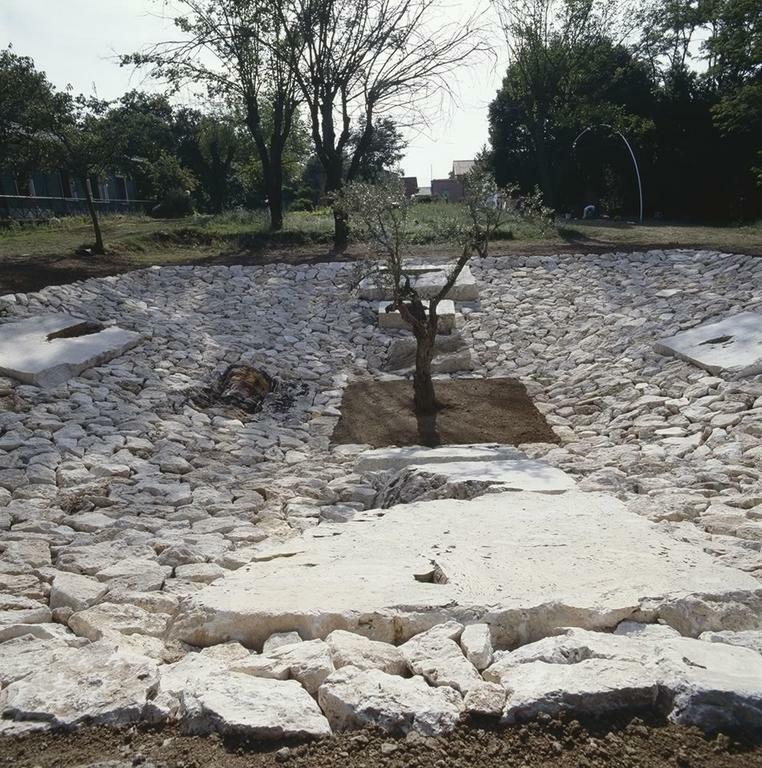 Materials: travertine, earth, olive tree. Dimensions: m 15 x 15 x h 2,5. 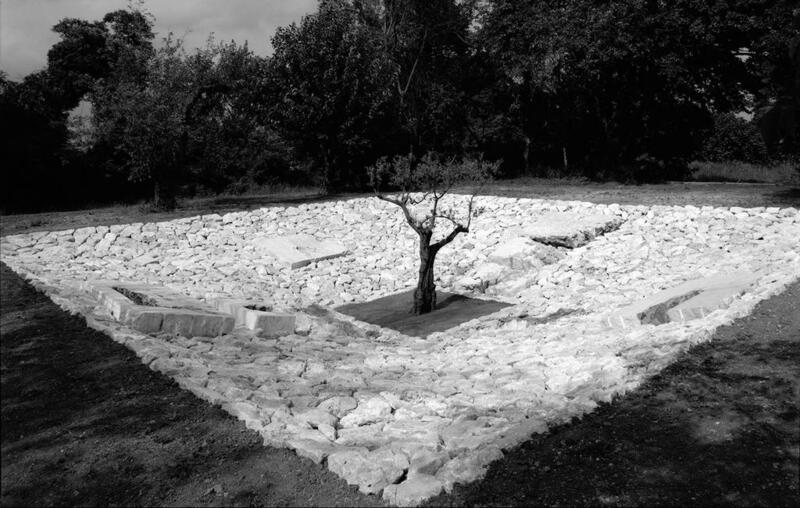 Like all Maria Dompè’s installations this one too was constructed with its surroundings in mind. 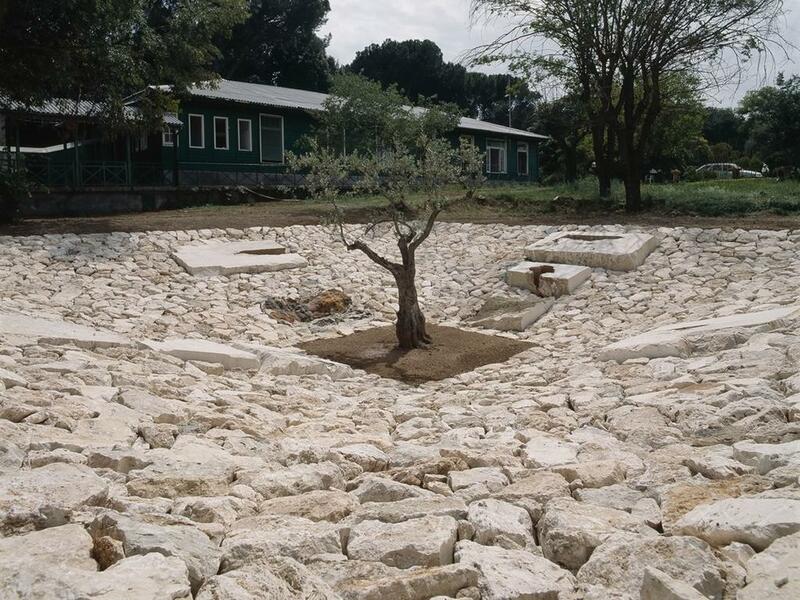 It was created for the Group Home in Villa Glori, which welcomes people with AIDS. Here it serves as a space for meditation for the house’s guests and for those who come to visit. The level ground was carved out in the shape of an overturned frustum of a pyramid. On the steep walls of the dug-out, nine big blocks of travertine, chosen with care for their imperfections and dark cavities, are like mountings between smaller stones. 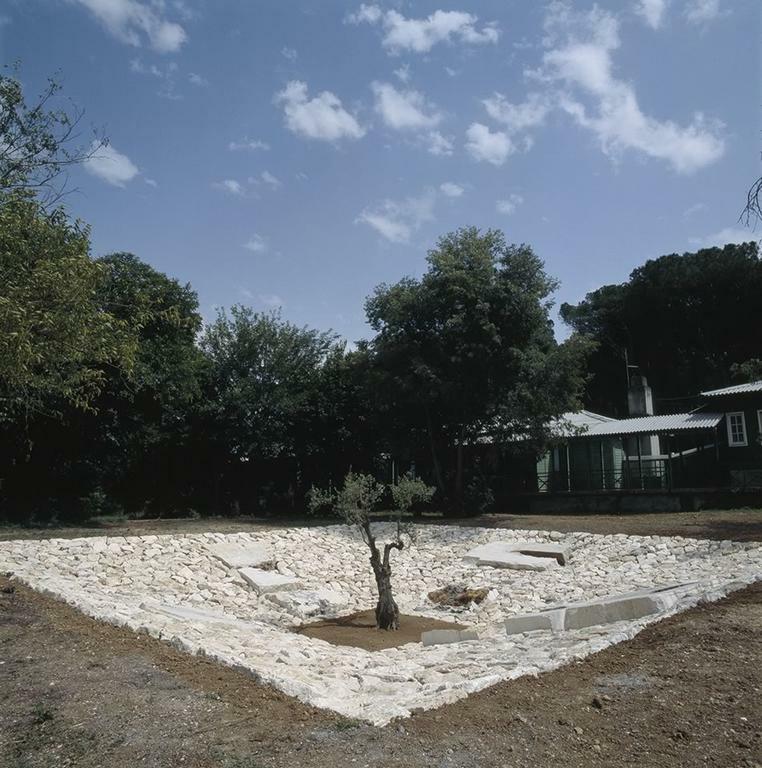 The centennial olive tree, planted low in the central square, deliberately calls to mind the olive trees in Villa Glori’s park. As such, the exterior of the Villa continues to the inside of the fence as in a game of Chinese boxes. 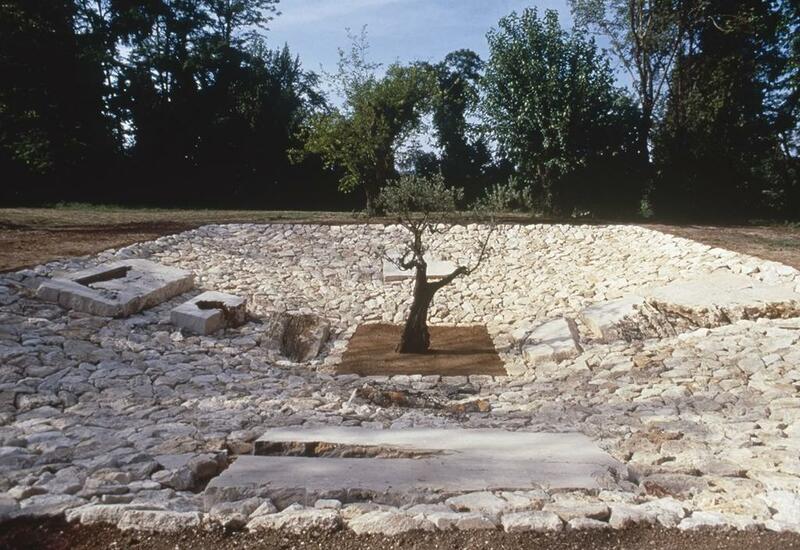 If the expanse of travertine seems a tide of stone, high or low, but always in movement with its blocks tied to one another as in a chain, the tree represents the strongest moment of meditation, the place from which to start again for a spiritual rebirth as the self concludes its inner journey. The viewer is asked to interact in a completely spiritual fashion. It is an interior dimension that provides the means for going further in the meditative journey.